This is the time of year when you hear a lot about the Scots, from ads for the Highland Games to the guy on the radio talking about grass seed. 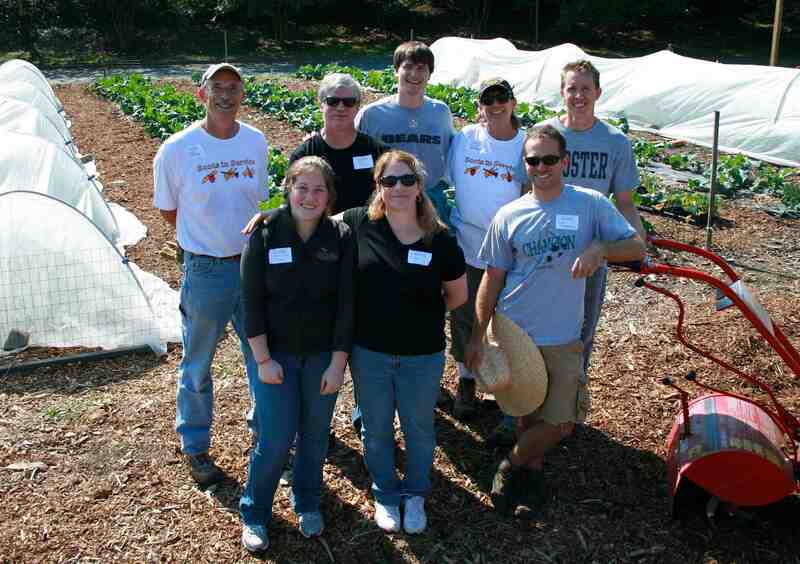 The Wooster Fighting Scots – alumni & parents from the College of Wooster – came out to the Lewis Ginter Community Kitchen Garden on October 6. 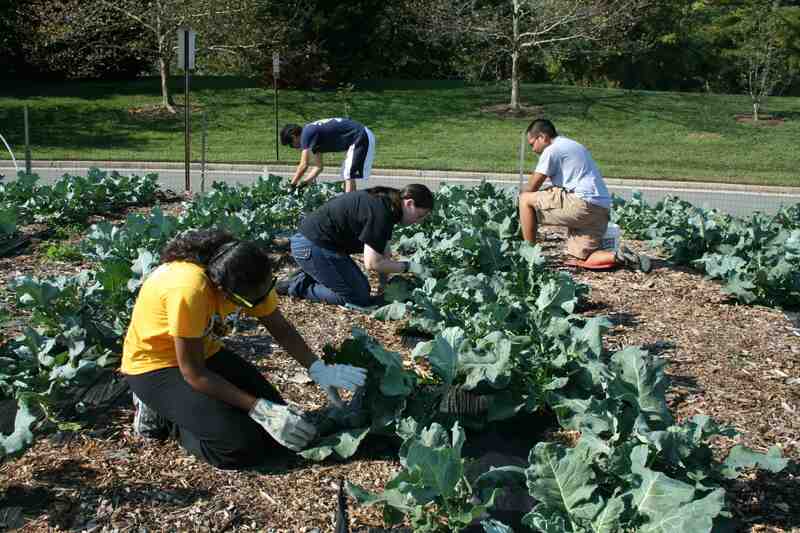 Maybe they were attracted by the fact that most of the Community Kitchen Garden occupies the highest elevation on the Lewis Ginter Botanical Garden campus (the “highlands”) but most likely it was strictly for the important community service. The Wooster Fighting Scots joined in with volunteers from HandsOn Greater Richmond to form a dynamic team, accomplishing a ton of gardening labor in one short beautiful morning. Fading tomato vines were pulled out. Cabbage, cauliflower and onions were planted. The cole crops were fertilized with fish emulsion and seaweed extract. VCU students perform manual inspection on the broccoli plants, looking to remove insect pests. 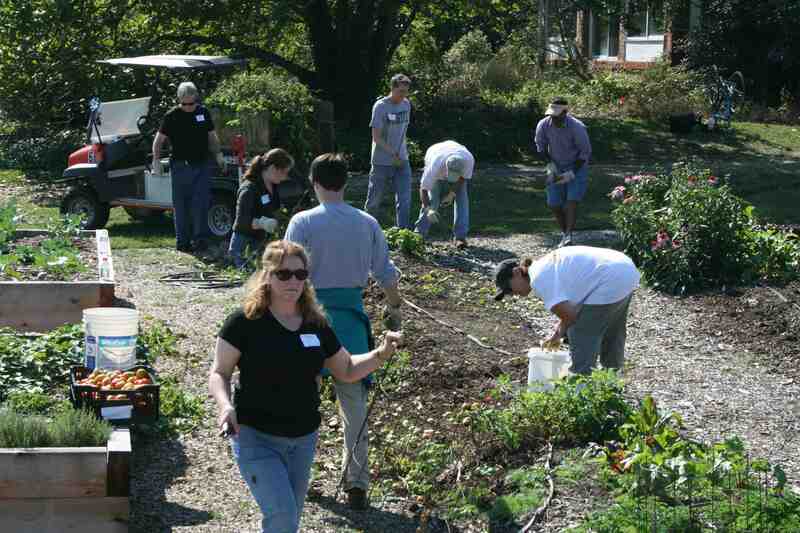 It’s always a flurry of activity when we have large groups of volunteers in the Lewis Ginter Community Kitchen Garden. 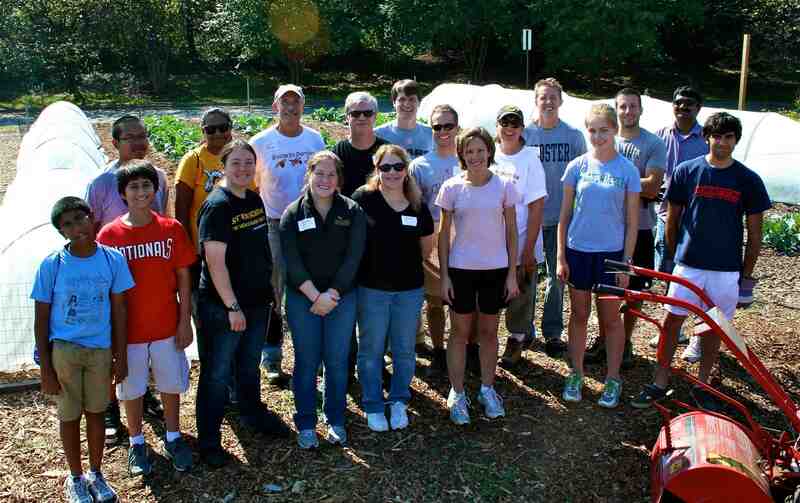 The entire group: College of Wooster alumni (& parents), HandsOn Greater Richmond volunteers and Lewis Ginter volunteers. The Wooster Scots, led by Corey Humphrey (right rear).